$38.99 Ships within 24 hours. Possible Uses of Imitrex: This medicine is a cerebral vasoconstrictor used to relieve migraine headache attacks as they occur. It will not prevent or reduce the number of attacks you experience. 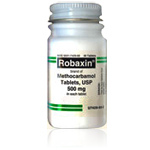 Before using Imitrex: Some medicines or medical conditions may interact with this medicine. INFORM YOUR DOCTOR OR PHARMACIST of all prescription and over-the-counter medicine that you are taking. DO NOT TAKE THIS MEDICINE if you are also taking monoamine oxidase inhibitors ( MAOIs). ADDITIONAL MONITORING OF YOUR DOSE OR CONDITION may be needed if you are taking ergot alkaloids. Inform your doctor of any other medical conditions, allergies, pregnancy, or breast-feeding. USE OF THIS MEDICINE IS NOT RECOMMENDED if you have a history of chest pain, heart conditions, arrhythmias, high blood pressure, or stroke. Contact your doctor or pharmacist if you have any questions or concerns about taking this medicine. How to take Imitrex: Follow the directions for using this medicine provided by your doctor. SWALLOW WHOLE. Do not break, crush, or chew before swallowing. IT IS BEST TO TAKE A DOSE OF THIS MEDICINE as soon as you notice symptoms of a migraine attack. Allow 2 hours between taking doses of this medicine. DO NOT TAKE ADDITIONAL DOSES if you do not get a response from the first dose. Precautions When Using Imitrex: THIS MEDICINE IS NOT INTENDED to prevent or reduce the number of migraine attacks that you experience. IF YOU HAVE A HEADACHE THAT IS DIFFERENT than your usual migraine attacks, check with your doctor before using this medicine. BEFORE YOU BEGIN USING THIS MEDICINE, give your doctor and pharmacist a list of all prescription and non-prescription medicines that you are using to treat and prevent migraine attacks. DO NOT USE ERGOT-CONTAINING MEDICINES within 24 hours of using this medicine. If you have questions about which medicines contain ergot, ask your doctor or pharmacist. BEFORE USING THIS MEDICINE ALSO TELL YOUR DOCTOR if you have chest pains, heart disease, shortness of breath, irregular heartbeats, high blood pressure, high cholesterol, or diabetes. Also tell your doctor if you smoke, if you have had a heart attack, if you have liver or kidney disease, are post-menopausal, or have had any seizures. Keep your doctor informed if you develop any of these conditions while you are taking this medicine. THIS MEDICINE MAY CAUSE DIZZINESS. Using this medicine alone, with other medicines, or with alcohol may lessen your ability to drive or to perform other potentially dangerous tasks. Ask your doctor or pharmacist if you have questions about which medicines can cause dizziness. FOR WOMEN: IF YOU PLAN ON BECOMING PREGNANT, discuss with your doctor the benefits and risks of using this medicine during pregnancy. THIS MEDICINE IS EXCRETED IN BREAST MILK. IF YOU ARE OR WILL BE BREAST-FEEDING while you are using this medicine, check with your doctor or pharmacist to discuss the risks to your baby. Side Effects of Imitrex: SIDE EFFECTS, that may go away during treatment, include nausea, vomiting, dizziness, drowsiness, or feeling sick. If they continue or are bothersome, check with your doctor. CHECK WITH YOUR DOCTOR BEFORE USING ADDITIONAL DOSES if you experience wheezing; tightness in the jaw, neck, or chest; chest pain; or heart throbbing. CONTACT YOUR DOCTOR IMMEDIATELY AND DO NOT USE ANY MORE OF THIS MEDICINE if you experience shortness of breath, swelling of the eyelids, face, or lips, or develop a skin rash or hives. If you notice other effects not listed above, contact your doctor, nurse, or pharmacist. Drug Interactions of Imitrex: Drug interactions can result in unwanted side effects or prevent a medicine from doing its job.Inform your doctor about all the medicines you take with and without a prescription. Storage of Imitrex: Store at room temperature away from sunlight and moisture. Keep this and all medications out of the reach of children. 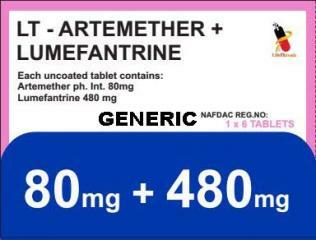 Other Information of Imitrex: DO NOT SHARE THIS MEDICINE with others for whom it was not prescribed. DO NOT USE THIS MEDICINE for other health conditions. KEEP THIS MEDICINE out of the reach of children. IF USING THIS MEDICINE FOR AN EXTENDED PERIOD OF TIME, obtain refills before your supply runs out.